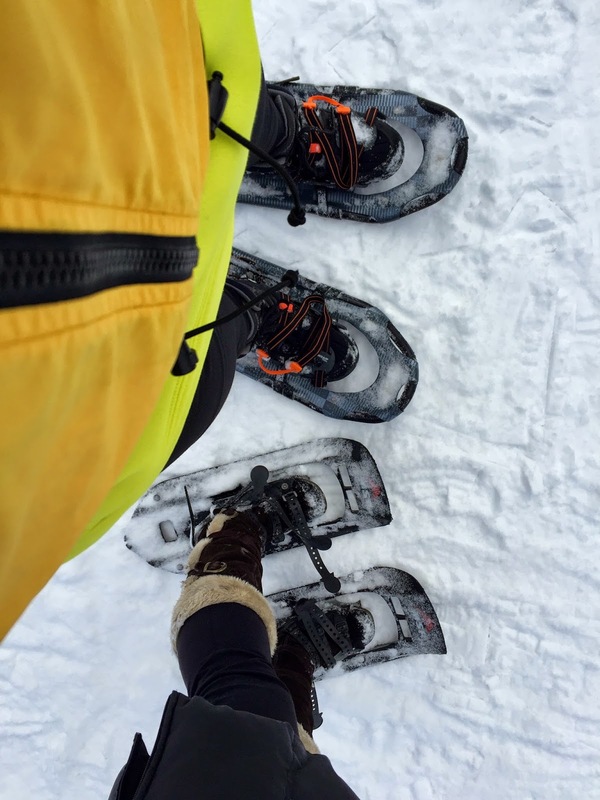 Palms & Pints: Wine & Snow Shoes! Before winter in southern Ontario met it's timely end about a week ago, my wife and I had the opportunity to try something unique. After a nice evening spent in Niagara Falls, we headed to rural wine country, Ontario for a snow shoeing adventure. I wouldn't call myself a wine connoisseur by any means, but to say I enjoy my wine would be a bit of an understatement. This winter also saw me uncover a new love for snow shoeing, something I picked-up out of necessity to fill the 3-month void where running is rather uncomfortable and inconvenient. 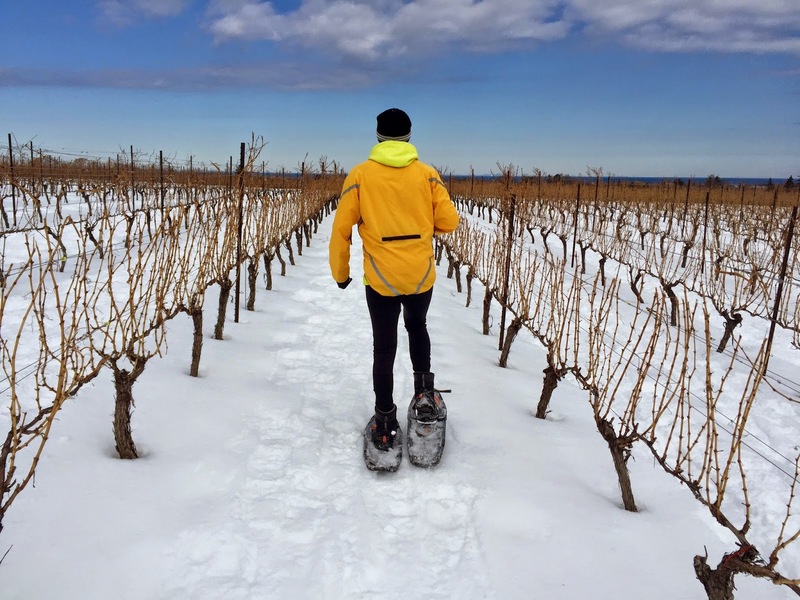 After doing a bit of research looking for some winter trails in the Niagara region, I stumbled across the Thirty Bench vineyard snow shoe tour and wine tasting. Needless to say I booked us a spot without much hesitation. The tour was at a fairly gentle pace to suite the needs of the group of young and old, fit and... well, getting fit! Our guide was exceptionally knowledgeable about the wine as well as the vineyard's history. She also provided a quick but useful tutorial for anyone new to the sport. We sampled about 6 wines in total, mostly white. I'm a red drinker but I enjoyed the exposure to various whites and I think it may have somewhat converted me! After the tour through the various plots of the property, we were given the chance to explore on our own for a little bit. I used this time to test out my "snow shoe running" techniques, using the rows of vines like they were lanes in an Olympic event. This is not as easy as it looks... actually it does not look particularly easy. The tour was concluded with a delicious bowl of Moroccan cauliflower soup whilst sitting around a little fire in the great snowy outdoors. The wife and I getting ready to roll. Wood Post Riesling - my favourite wine of the day.